We are a small volunteer run non-profit so please be patient with shipping. 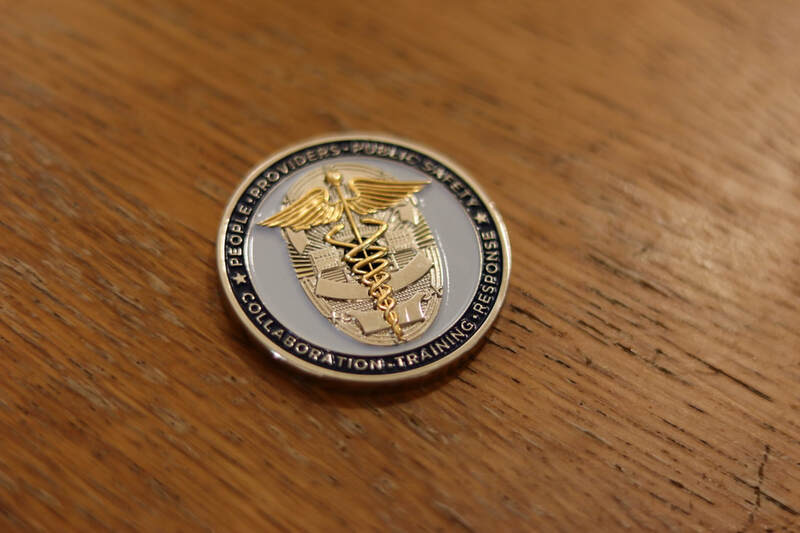 We will ship orders out once a week. 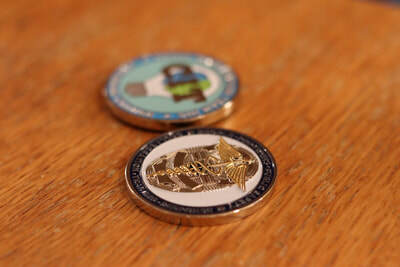 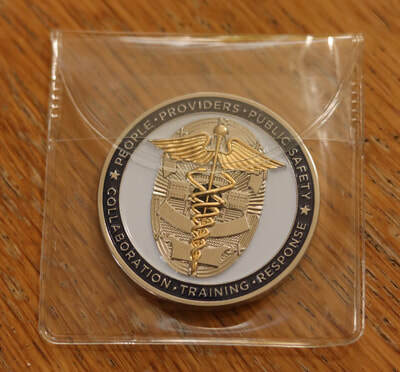 ​A Challenge Coin is a small medallion or token to indicate that a person belongs to a special organization or that they have accomplished a challenge. 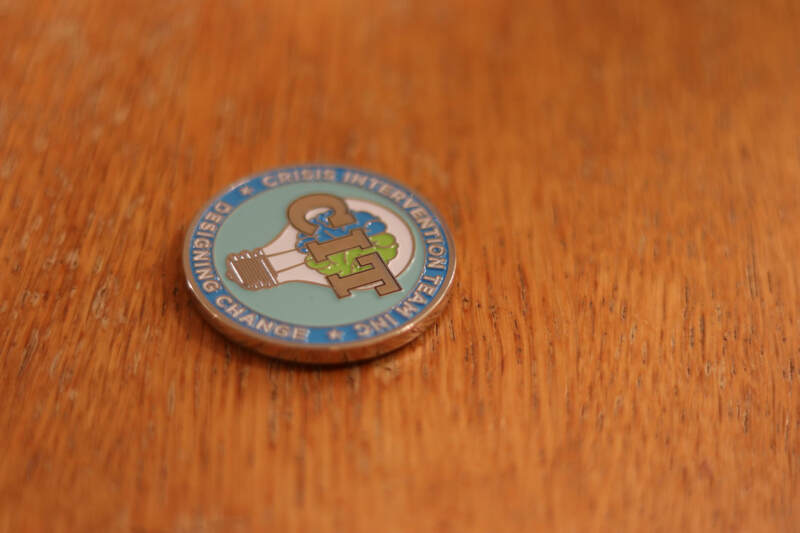 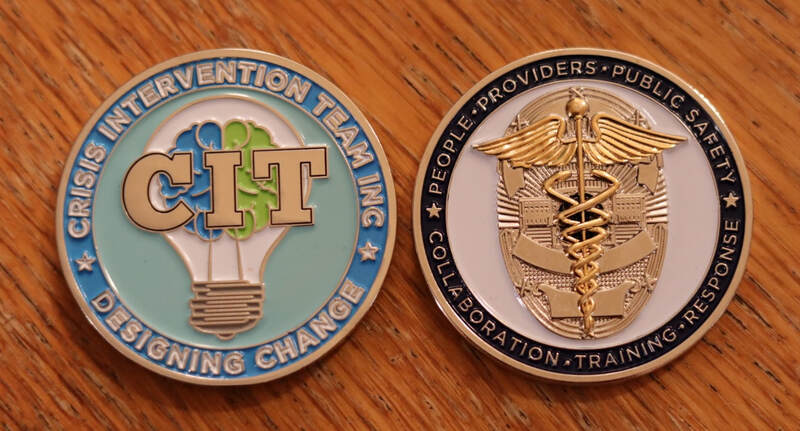 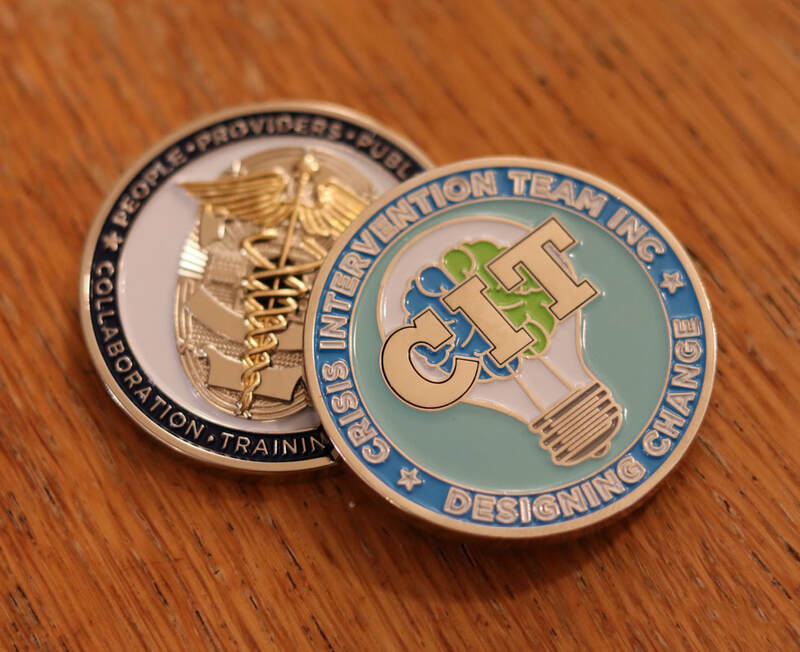 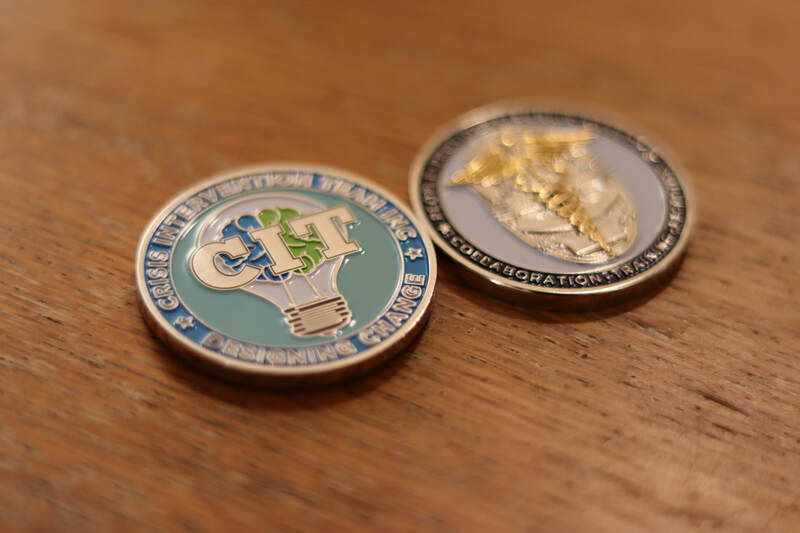 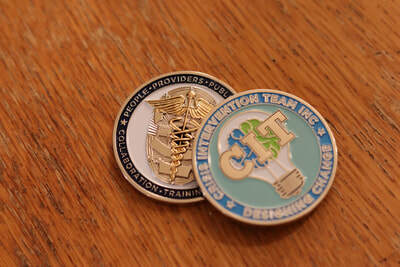 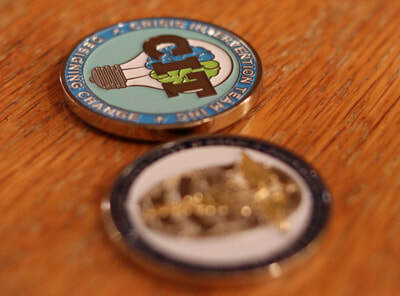 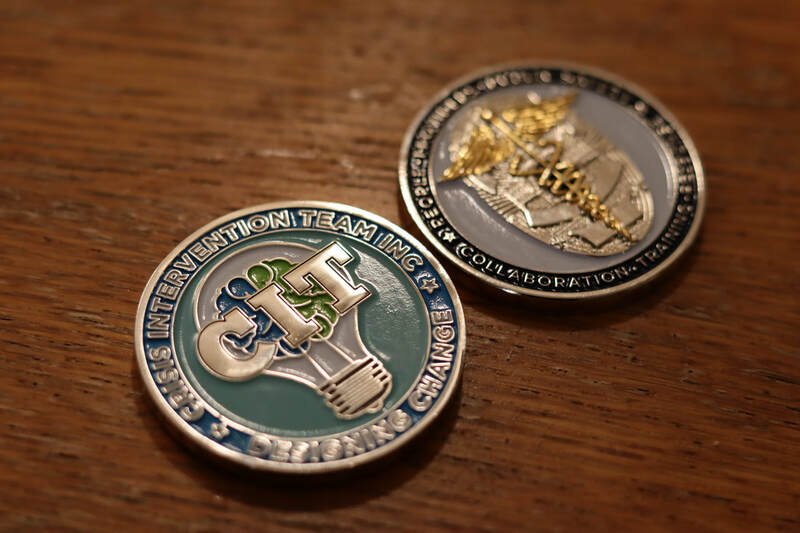 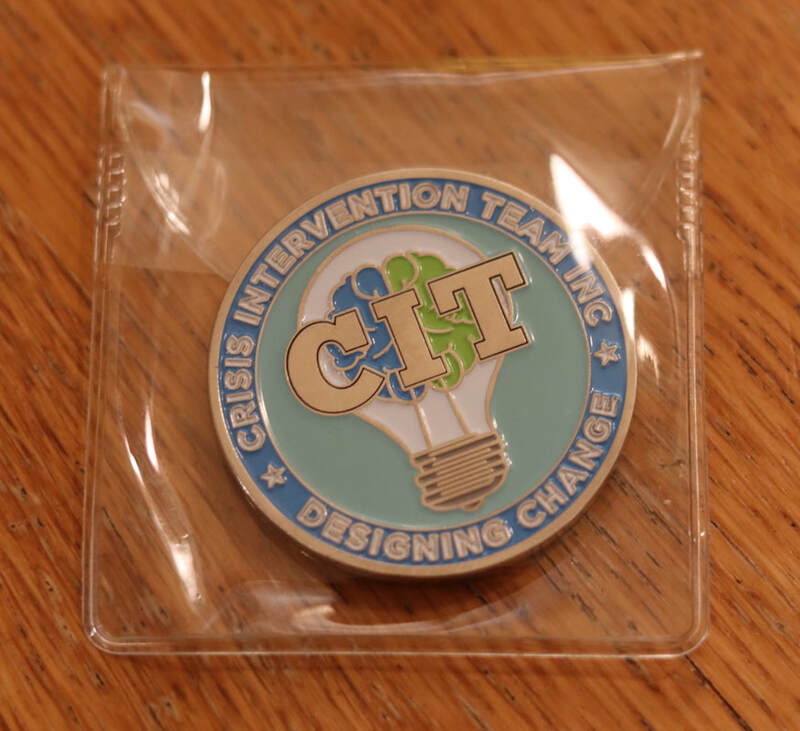 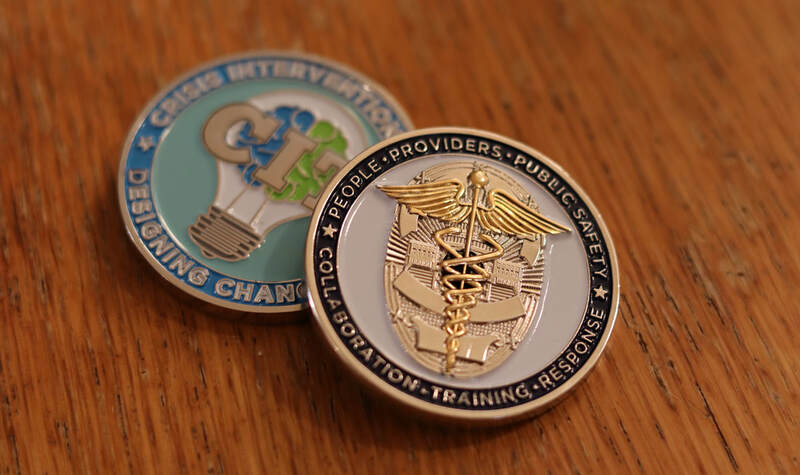 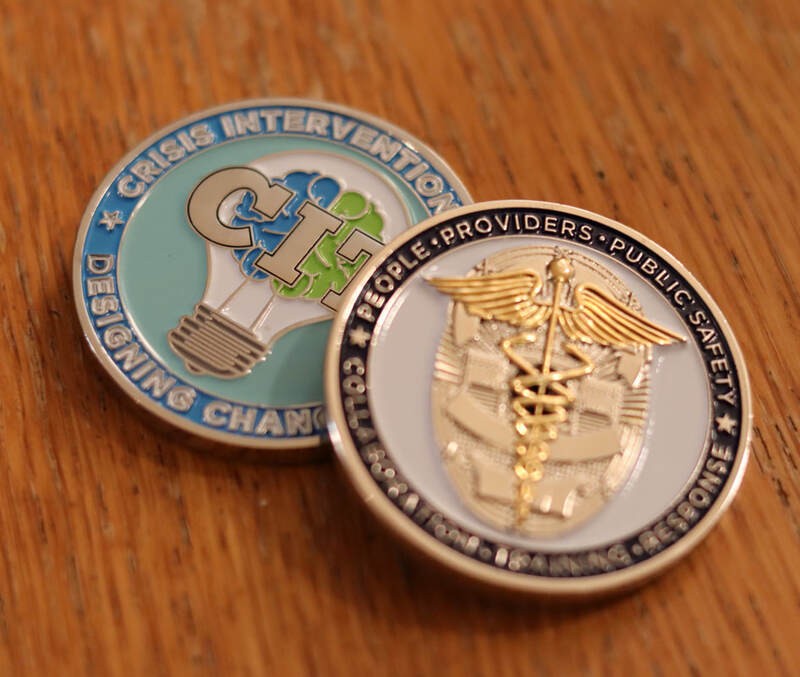 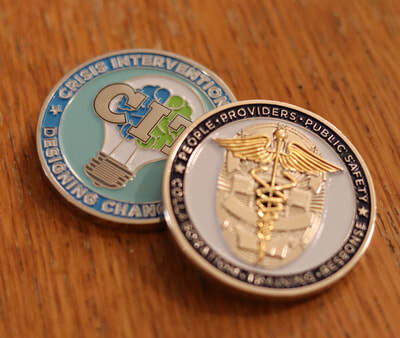 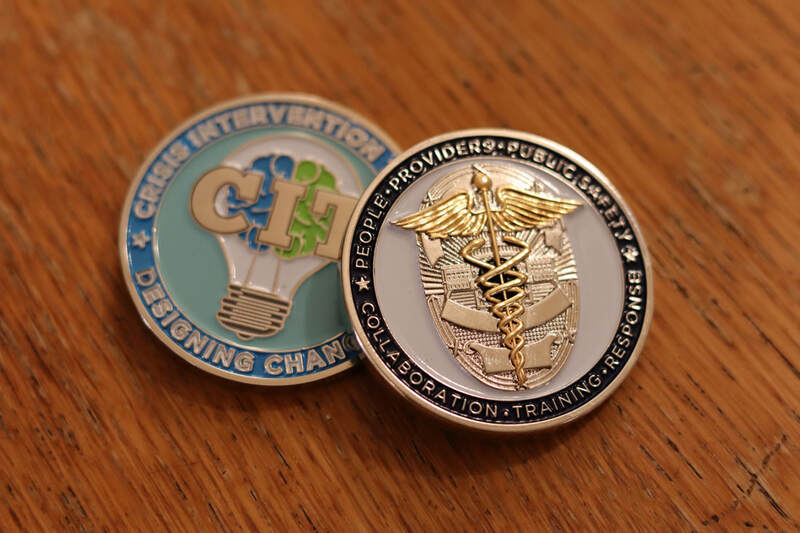 The Crisis Intervention Team (CIT) Challenge Coin represents both aspects. 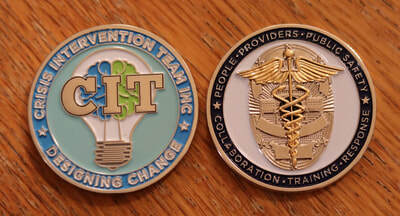 It identifies someone as part of something bigger and shows that they have completed a task associated with it. 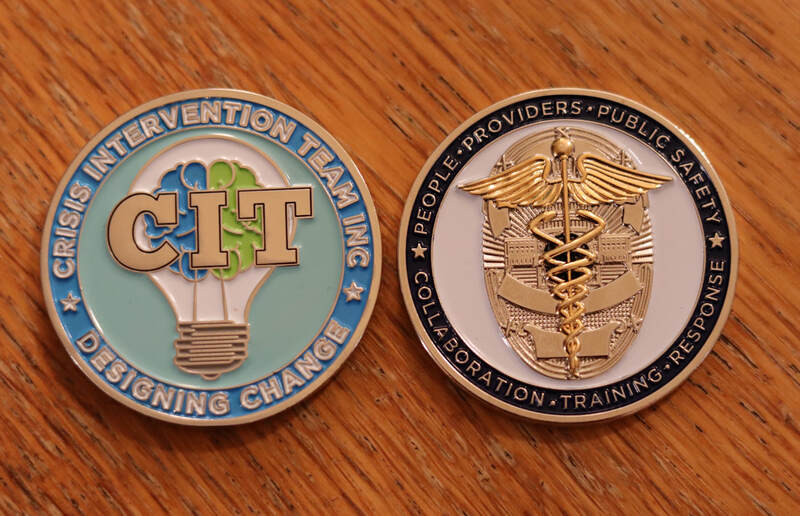 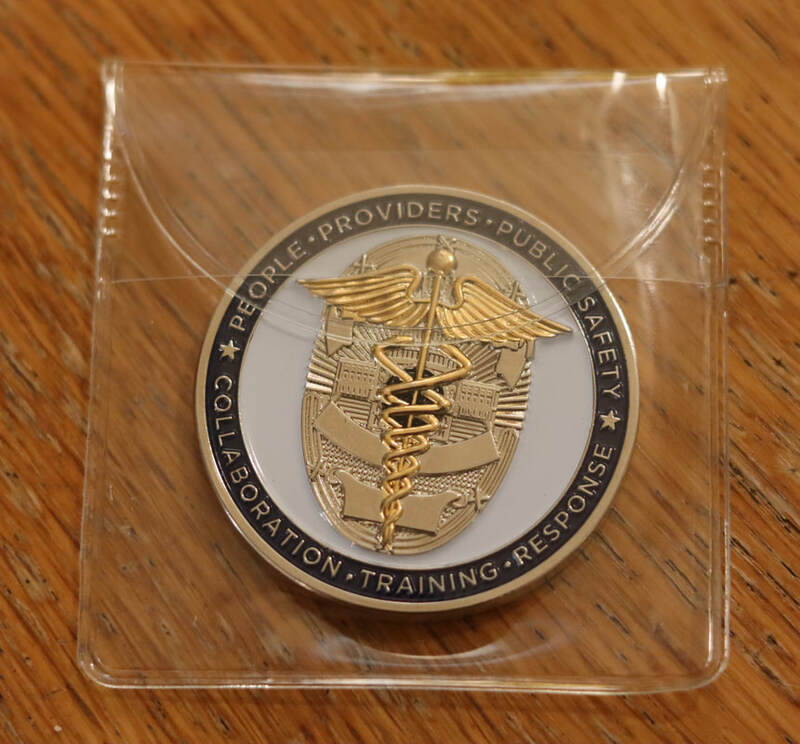 We present these coins as recognition to someone who has showed competency or outstanding work in one or more of the three core elements (Inclusive Collaboration, Coordinated Responses, and Training) that have been identified. These coins are 1.75” (1 ¾) and display the designing change logo of a brain inside of an innovation light bulb. 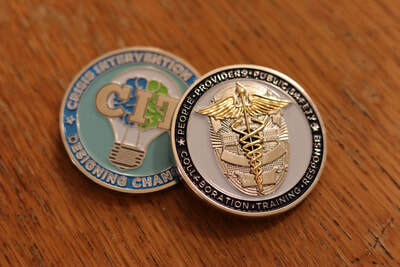 The brain is comprised of blue and green representing the colors of law enforcement and mental health. 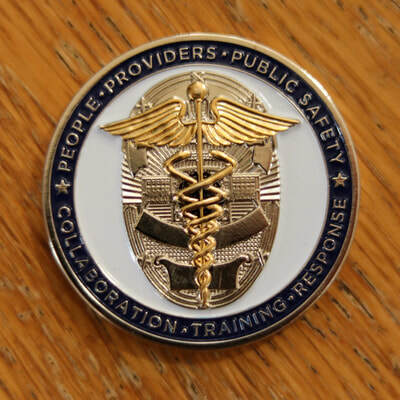 The back features a law enforcement badge with a caduceus representing the collaborative efforts needed to construct change. We are releasing these coins publicly so everyone has access to show their support, membership or present it to someone they feel exceeds at the core elements. We are volunteer run so all proceeds of the coin go towards sustaining the efforts of the Crisis Intervention Team.